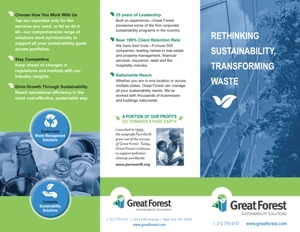 Great Forest pioneered some of the first corporate waste and recycling management programs in the industry. Our expertise in diversion continues to be at the core of what we do. Our capabilities have expanded over the years in multiple areas to deliver complete sustainability solutions.